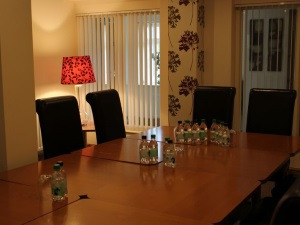 The conference room at Quackers can accommodate up to 40 people with catering if required. 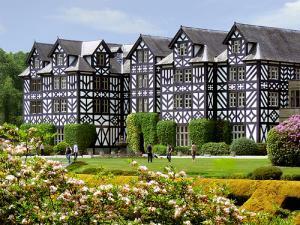 Gregynog Hall is a unique venue, accommodating both residential and day conferences in the peace and tranquility of a beautiful setting. 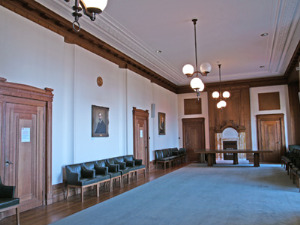 The National Library of Wales offers a wide range of services to suit your conference and meeting requirements. 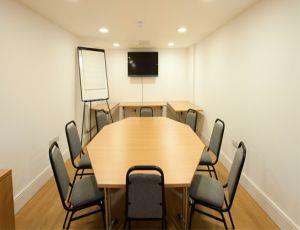 We have two meeting rooms available for events & gatherings. 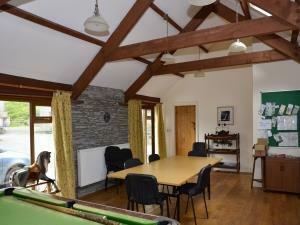 Whether you are organising; a retreat, conference, celebration with friends, community group meeting or an IT workshop our facilities provide a flexible & comfortable rural venue. Seminars, board meetings, conferences, presentations all with a plus. This is the antidote to standard corporate hotels. You won’t daydream and wonder if you’ve arrived at a universal business hotel in London, New York or Singapore. 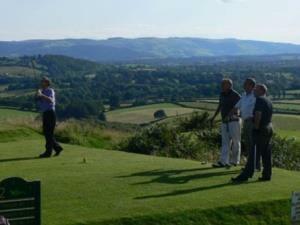 The Llandrindod Wells Golf Club has a conference/meeting facility that can accommodate up to 20 delegates in a boardroom layout or 35 persons theatre layout. We have hosted a wide variety of events at the Plas, from Battle of the bands to weddings, via environmental and heritage conferences. 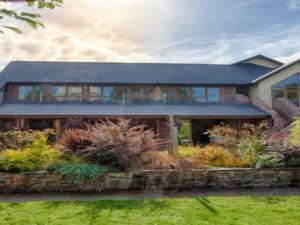 Plas Talgarth Country Club offers a collection of conference facilities ranging from small meetings to team building courses. The Tabernacle was converted in the mid-1980s from a Wesleyan chapel into a centre for the performing arts. 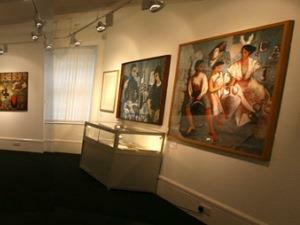 Since then MOMA MACHYNLLETH has grown up alongside it in seven beautiful exhibition spaces. 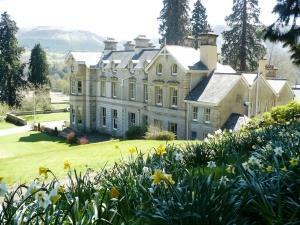 3* country hotel specialising in conference provision. 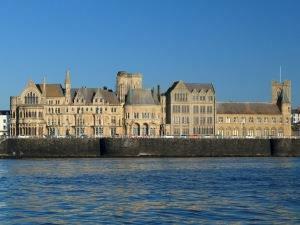 The Old College, Aberystwyth is a building that forms part of the University of Aberystwyth. It was built in 1795 by John Nash and is the site of the original University of Aberystwyth - the first University in Wales founded in 1872. 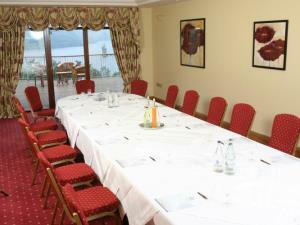 The Bell Country Inn have a conference room able to seat approximately 12 people. Bottled water and mints are provided with the rate of the room, tea/coffee and biscuits are charged extra. Cross Foxes Bar Grill and Rooms offers a seamless service with facilities expected by our business guests giving you the space and time to think and to work. Located in the town centre, The Elephant and Castle Hotel stands on the banks of the River Severn. The riverside location offers beautiful views of the river, with the convenience of all local amenities also on the doorstep. 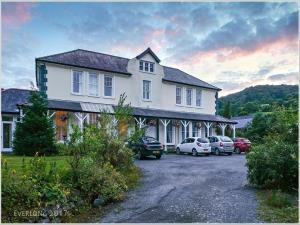 Broneirion is a conference, residential & activity centre set in a Grade 2 listed house & 4 acres of grounds, overlooking the Severn Valley. 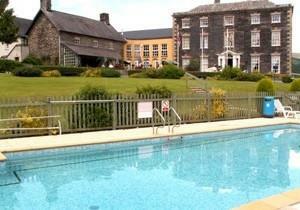 Conveniently located in the heart of Mid Wales we are within easy reach of major road & rail links. 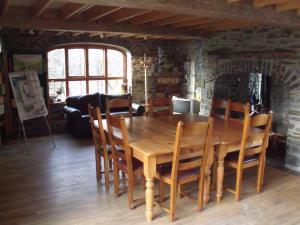 Delightful function room, formerly a byre, on our traditional working farm. 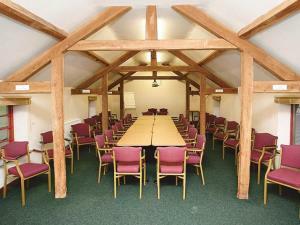 Ideal for get-togethers, workshops and courses. Kitchen and toilet facilities.